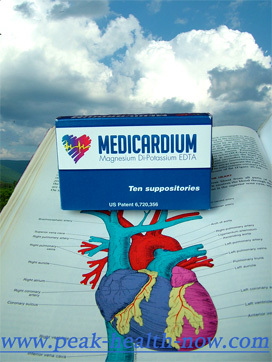 Medicardium EDTA Suppositories are a patented, custom made formula for chelation, the best of their kind by far. That is why they (and companion products Glytamins, Xeneplex and Endosterol) are the ONLY such products we include here. 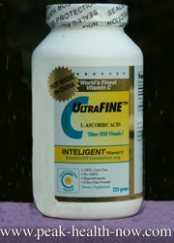 Only the BEST is good enough for you and our other customers! EVERY product on this site has been EXTENSIVELY personally trialled by me and chosen based on real results! 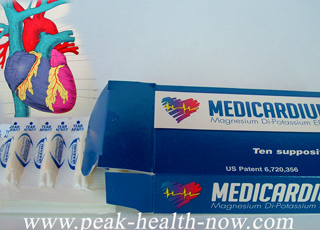 For the BEST chelation benefits, consider Magnesium EDTA suppositories. EDTA has been used for over 50 years to support the body's detoxification of metals like mercury, lead, aluminum, arsenic, cadmium, uranium and nickel. While orally delivered EDTA is only 5% absorbed due to the effects of the digestive acids, enzymes and foodstuffs on EDTA, rectal administration has no such limitation. In addition, being calcium free, the patented Magnesium Di-Potassium EDTA may also support the body in the mobilization of soft tissue dystrophic calcium. In addition to Medicardium, we offer 3 companion products: Xeneplex, Glytamins and Endosterol, each of which also contains some EDTA in addition to Amino Acids and herbs. All are suppository-based products, but each is designed for a different purpose. Every day your heart pumps 1,900 gallons of blood through the 100,000 miles of living pipes that make up your circulatory system. Over the course of your life, your heart will pump some 2 billion times moving 48 million gallons of blood through your arteries, capillaries and veins. Unfortunately, heart attacks are the leading cause of death in America. Toxins, infections, stress, poor diet and the effects of aging cause the arteries to become brittle and filled with plaque, and blood to thicken and become harder to move. If you are suffering from circulatory disturbances or simply want to increase and maintain your vitality, then ask your doctor if chelation is right for you. As we age, our bones and teeth lose calcium, which may end up into the arteries, muscles, joints and organs. 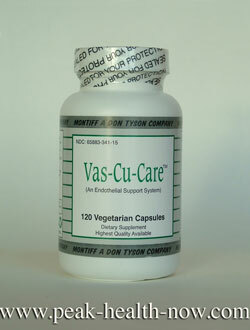 According to Spencer Feldman, the developer of Medicardium EDTA suppositories, every cell is activated by calcium. For example, calcium entering a muscle cell enables contraction. This is a good thing. But once the calcium has done its job, the cell has a 'calcium pump' that pushes the calcium out of the cell. The calcium can then go back to a place it belongs, such as the bones. As we age, the calcium pumps in our cells become less efficient. The cells have a harder and harder time pumping the used calcium out. Calcium starts to build up in all the places it does not belong. Atherosclerosis, muscle stiffness and arthritis are problems of aging resulting from calcium build up in the soft tissues. Fibromyalgia is an extreme example of the build-up of calcium in the muscles. The ultimate build up of calcium in soft tissues is rigor mortis, when all the cells are flooded with calcium. Calcium build-up in soft tissues makes us get old and stiff. For example, when calcium builds up in muscle cells, the muscles can't relax; they remain contracted and we become more and more stiff. We can't stretch as well as we used to and often, we are in pain. Much of arteriosclerosis is due to calcium accumulation in the blood vessels. The resulting rigidity of artery walls makes them less resilient to the pressure of blood pumping through them, and more subject to damage. Calcium accumulation in the capillaries is especially insidious. Because capillaries can only let blood cells pass through single file, any plaque prevents blood from getting through. The result is 'micro-strokes' throughout the body, resulting in widespread cell death. Keeping those capillaries free and clear is one of the most important anti-aging measures you can take. Even worse conditions include kidney stones, gallstones, calcium deposits in prostate, women’s' breasts and even in glands like the pituitary. In addition, too much calcium in the blood causes an abnormally increased tendency of the blood to clot! This increased viscosity (thickness) of the blood also causes sluggish circulation. Spencer Feldman suggests that EDTA in the correct form (Magnesium Di-Potassium EDTA) reverses the aging effects of calcium build up in soft tissues. In his explanation, various elements such as calcium, magnesium, lead and aluminum have differing atomic weights. Examples of 'heavy' metals are lead, mercury, cadmium and aluminum; all are toxic to the body. 'Lighter' elements include calcium, zinc, magnesium and selenium; these elements are needed by the body but can become toxic under certain circumstances. When calcium migrates from the bones and teeth into the organs and soft tissues, it becomes a toxic metal because it doesn't belong there and it is doing harm. 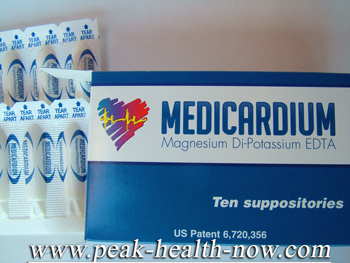 The Magnesium/Di-Potassium EDTA in Medicardium first attaches to calcium, chelating it out of the soft tissues (including the blood). 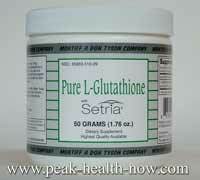 This shifts the calcium balance in the blood, making the body think it has too little calcium. The mechanism to store calcium becomes activated. The EDTA carrying the calcium lets go of the calcium when it bumps into heavier elements such as lead and mercury. The calcium dropped by the EDTA is grabbed by the body and put back in the bones and teeth where it belongs. Meanwhile, the EDTA keeps hold of the toxic heavy metals and safely carries them out of your body. Mercury: Each silver filling releases up to 17 mcg of mercury every day. This increases to 500 mcg when the smoking of cigarettes, the drinking of hot liquids, gum chewing, acidic saliva or the grinding of teeth at night. Mercury accumulates in the brain, heart, kidneys and endocrine glands and can cause depression, auto-immune diseases, memory loss, tremors, anemia and heart attack. EDTA has been scientifically proven to bind to and remove Mercury from the body. Aluminum: can be found in drinking water, antiperspirants, baking powders, feminine hygiene products, cow and soy milk, baby formula, antacids, and of course aluminum foil, pots and pans. 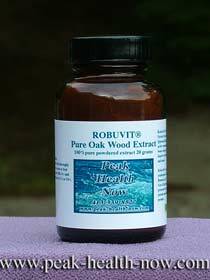 It accumulates in the skin, bones, brain and kidneys and can cause Alzheimer's and Parkinson’s disease. EDTA has been scientifically proven to bind to and remove Aluminum from the body. Lead: is found in cosmetics, plastics, batteries, gasoline, insecticides, pottery glaze, soldered pipes, and paint. Lead accumulates in the brain, liver, kidneys and bones. For each 30 mcg of lead in a child's blood, his or her IQ drops 10 points. EDTA has been scientifically proven to bind to and remove Lead from the body. Barium: compounds are found in soaps, ceramics, paper, glass, plastics, textiles, dyes, fuel additives, rubber, paint and pesticides. Barium toxicity can cause vomiting, diarrhea, and abdominal pain. EDTA has been scientifically proven to bind to and remove Barium from the body. Nickel: is found in stainless steel cutlery, pots and pans, coins, dental fillings and batteries. It accumulates in the bones, kidneys, liver, lungs, immune system and the brain, where it can cause genetic damage and cancer. EDTA has been scientifically proven to bind to and remove Nickel from the body. Arsenic: is found in cigarette smoke, laundry detergents, beer, seafood and drinking water, It can cause headaches, confusion and sleepiness. 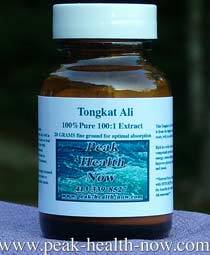 It can damage the kidneys, liver, and lungs. 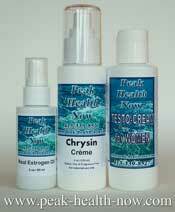 EDTA has been scientifically proven to bind to and remove Arsenic from the body. Cadmium: Exposure to cadmium happens mostly in the workplace where cadmium products are made. The general population is exposed from breathing cigarette smoke or eating cadmium contaminated foods. Cadmium damages the lungs, can cause kidney disease, and may irritate the digestive tract. This substance has been found in at least 776 of the 1,467 National Priorities List sites identified by the Environmental Protection Agency (EPA). EDTA has been scientifically proven to bind to and remove Cadmium from the body. Uranium: is a radioactive element that disintegrates eventually into lead. There has been over 2,000 nuclear detonations on our planet since Hiroshima casting uranium into our atmosphere, not counting events like Three Mile Island and Chernobyl. Radioactive materials can cause cancer and birth defects. EDTA has been scientifically proven to bind to and remove Uranium from the body. Why is this Formula Unique? Medicardium EDTA suppositories are specially formulated for health benefits that go beyond removing toxic heavy metals from the body. This is a custom-made Magnesium Di-Potassium formula. 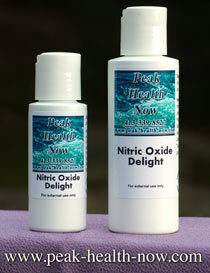 Magnesium and potassium alleviate stress, anxiety and body tension, promoting deep relaxation. These minerals, which most of us need more of, also have important anti-aging benefits. 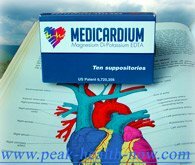 One of the reasons Medicardium has such a relaxing effect is its unique use of Magnesium di-Potassium as an EDTA carrier. The direct absorption of the magnesium and potassium into the bloodstream re-sets the autonomic nervous system, taking you out of sympathetic mode ('fight-or-flight' - stress) into parasympathetic ('rest and digest'). In parasympathetic mode, we feel happier, our bodies can repair and renew, and we digest and absorb food better, and can relax. This provides the basis for REAL healing!